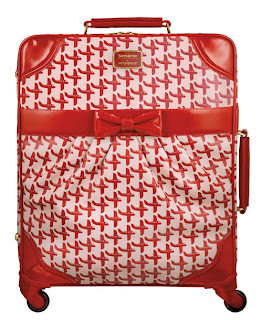 I love me a funky piece of luggage! Yep, I'm a big travel accessory geek and am always on the look out for some cool gadgets and cases to tote about my wares on holiday. My latest fave: the Viktor and Rolf Black Label line for Samsonite. Retro-esque airplanes adorn their fancy pants line for the famous travel retailer. Sure to put a smile on your face at the luggage pick-up point!